Well, what do you know: only a day after the Samsung Galaxy Tab 2 (10.1) price was revealed by accident, we now have an idea as to how much the Samsung Galaxy Tab 2 (7.0) will cost. 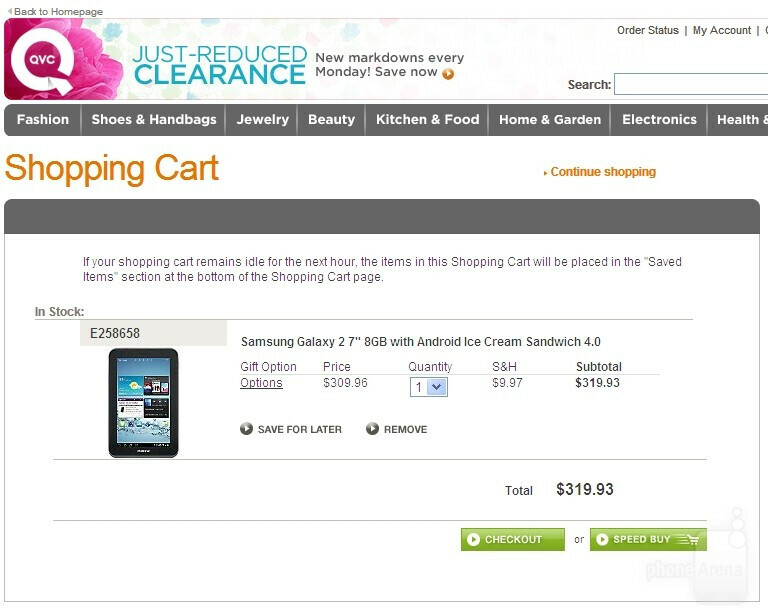 The 7-inch Galaxy Tab 2 tablet is currently listed on the QVC web store and is priced at $309.96. The model in question is the most basic one with 8 gigabytes of storage and no cellular connectivity. Interestingly, this does not seem to be a pre-order page. It appears that the device can be purchased and should be shipped to your doorstep within several days. 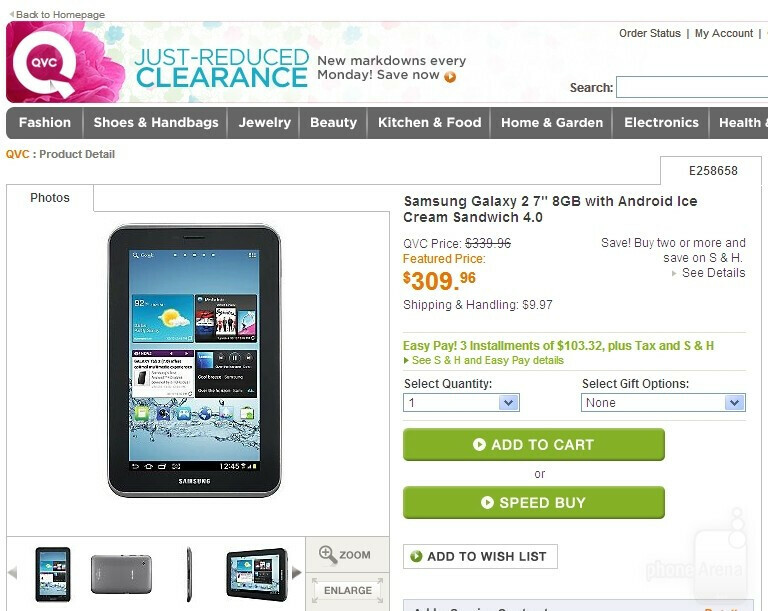 Of course, this listing for the Samsung Galaxy Tab 2 (7.0) might have been posted by mistake. But then again, it might be legit. After all, we have seen tablets launching at the most awkward of places before, such as the Sony Tablet S, which was available on HSN before any place else. Still, it might be a good idea to restrain yourselves from ordering just yet. Just days ago, it was announced that the Samsung Galaxy Tab 2 tablets will be delayed due to unpolished software, so technically, neither of them should be on the market before the end of this month. Oh, and by the way, the specs sheet for the device mentions something about an IR blaster being present, but that has to be a mistake. 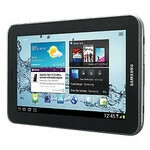 The IR blaster is a feature available on the Samsung Galaxy Tab 7.0 Plus. Being using for two weeks .Its very good value for money .